What was once a sleepy little town with a booming fruit and vegetable industry is now a trendy retail centre and weekend hotspot. Reporter HAYLEY GASTMEIER talks to Greytown locals about the fashionable present and the good old days. John Bull, 73, is a third-generation Greytown resident, and like many other long-standing residents, he wants the town to retain its quaint character. Nowadays, John avoids the township on weekends, when there’s “just too many people” and no car parks. John is the son of town stalwarts, Jack and Stella Bull. John Bull, right, with siblings the late Jan Eagle and David Bull, who lives in Masterton, at the opening of Stella Bull park, in memory of their mother, in 2003. 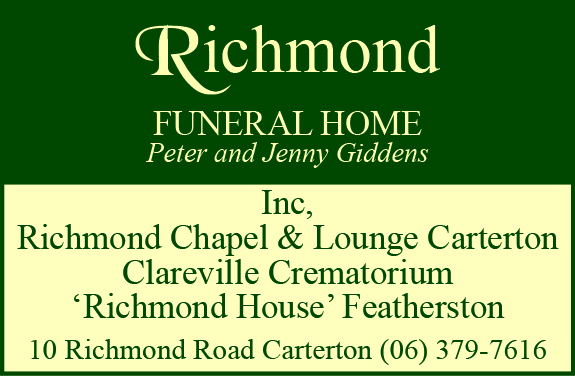 His mother was “an avid greenie”, passionate about preservation and his father worked on the Wairarapa Catchment Board for more than three decades. He said the town had changed considerably since he was a kid. “They were good days. We could swing out of a tree or go swimming down the river, but it’s all PC [politically correct] now, you can’t do that. Today, John said houses were being “shoved” onto small sections and the place was turning into a “rat race”. He still lives on land owned by his “nana” on Wood St, and is passionate about ensuring his five-acre section remains in the family. Greytown was founded in 1854 under the Small Farms Association’s settlement scheme. The town was one of the first planned inland towns in the country, and was the first settled town in Wairarapa. Once known for its orchards, the town is now a popular destination, with sought-after real estate boasting the highest prices in the region. A map from 1988 shows 22 orchards in the immediate vicinity of the town. 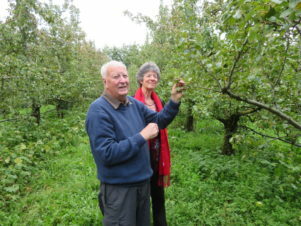 Ed and Juliet Cooke in their Greytown Orchard. In the 30 years since, almost all have disappeared. Murphy’s Orchard on Reading St has recently been sold to make way for a retirement village, and while Pinehaven Orchards remains, it has been shrunk in size to accommodate a new subdivision. Ed and Juliet Cooke established Molewood Orchard 25 years ago. 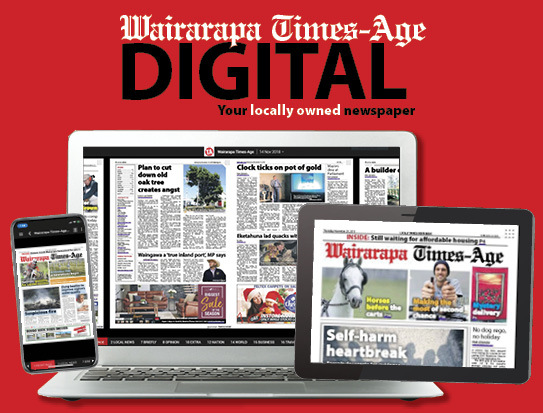 It is now within the proposed Greytown Development Area, in which the South Wairarapa District Council is planning for up to 450 additional residential lots. 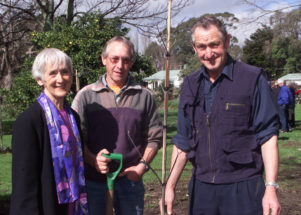 The couple, both lawyers, planted 6000 apple and pear trees after moving to the town in 1969. They had returned from overseas and were travelling to Wellington from Auckland in their Range Rover, but they didn’t get past Wairarapa after Ed was offered a job at a Greytown law firm, now WCM Legal. A map from 1856 shows 40-acre sections marked out to the west of the main road, now State Highway 2. Each settler had a section, which was heavily forested, so clearing had to take place before the land could be worked. Running along the spine of the main road were the “town acres”. Ed explains that the early settlers each had one of these central sections, designed so they could tie up their horses while seeing to their business in town. However, many did not use their town acres so following a town meeting, the central sections were put into a trust, known now as Greytown Trust Lands Trust, and leased out, with proceeds put back into the community. Greytown was a “very quiet” place when the Cookes moved there almost 50 years ago. Juliet remembers “sticking out” as a newcomer, as almost everyone who lived there had been born there. Back then, the town had everything you needed, including Greytown Hospital, which left a big hole in the community when it closed in the 1990s. In its heyday, clothing factory Bouzaid and Ballaben employed 300 workers, including many of the town’s women. There were milk bars, three pubs, and a department store, Haywrights, which had everything from clothing and food to agricultural supplies. 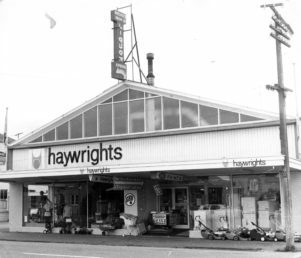 The old Haywrights building is now the Greytown Theatre, which is to be demolished, with a four-storey apartment block proposed in its place. The four-storey apartment block proposed for Greytown’s Main St.
would ultimately destroy Greytown’s unique charm. While the town has been transformed over the years, its population has not grown too dramatically. In 1958, the population was 1440. Twenty years later that figure had risen to 1920, and last year 2310 people were living in Greytown. One element that has seen radical change, however, is house prices. Jaime Slater, of Harcourts, has been an agent in Greytown since 2011, when the recession still had its grips on the country. While she never had a problem moving properties, she has recently seen huge growth in the market. “It’s gone ballistic,” she said. “Prices have gone up significantly, and in a lot of places markets have slowed, but ours has just gone from strength to strength. She said the town’s history was a major drawcard and this, paired with good schools and the close proximity to Wellington, made Greytown the complete package. It was named as New Zealand’s “most beautiful small town” – ahead of Raglan and Whirinaki – in 2017’s Keep New Zealand Beautiful awards, with Greytown Community Board chair Leigh Hay highlighting the town’s attributes and community projects in her submission on the entry. 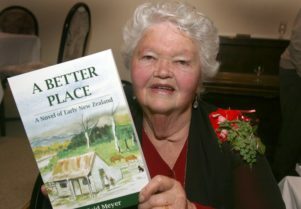 Author Enid Meyer has written about the changing times, including in her hometown Greytown. Author Enid Meyer said one thing she considered a “pity” was the disappearance of fruit from the town. “There used to be that many orchards of apples, pears, cherries, and all the berry fruits, raspberries, strawberries and loganberries. For 25 years, Enid’s family owned Meyer Brothers, a 3.2ha orchard on Ahikouka Rd, just north of Greytown, and during this time her family also grew 5.6ha of berries on borough council-owned land in town. Enid, 86, said back then, on top of the fresh produce, the town was bustling with industry and jobs. “There was the dairy factory, the Bouzaid and Ballaben sewing factory, there was a hat factory, and each shop was owned by a family. Enid remembers doing “the books” for the orchards, and said a man working on the orchard would earn 20 pounds for 40 hours work [about $40], which was enough to live off, support a family, and put some savings aside for a bike or motor vehicle. In 1861, Thomas Braggins arrived in Greytown, where he served as the town’s first police constable. His descendant, Malcom Sutherland, recalls a few other interesting ancestors who made their mark on Greytown. His great-grandfather, Dr William Bey, was superintendent of Greytown Hospital, and his great-great-grandfather, Thomas Porritt, was headmaster of Greytown School in the late 1800s. Sutherland remembers when Kuranui College opened, in 1960, to replace district high schools in Greytown, Featherston, Martinborough, and Carterton. He said this led to more mingling between the townships and attracted more people to move to Greytown. “It’s certainly not like it used to be, where you knew everyone in the town. But there are some upsides to having new blood in the town, says South Wairarapa Mayor and Greytown resident Viv Napier. Newcomers brought fresh ideas and were in some ways responsible for recognising the town’s potential. Napier, a former teacher at Greytown School, said Papawai Marae was another jewel in Greytown’s crown. In the late 1800s, Papawai was the focus of Kotahitanga, the national Maori parliament movement, and it’s still very much a community hub today. 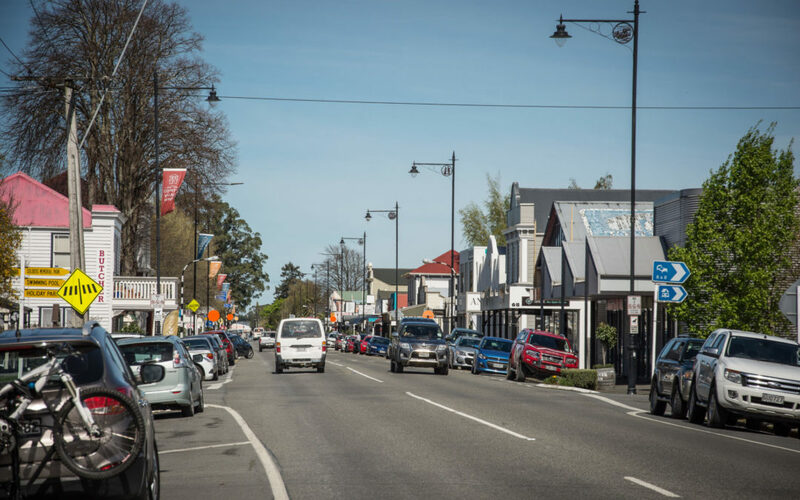 “Greytown has in many ways, for a little place, been a little bit ahead of its time the whole way through,” Napier said. 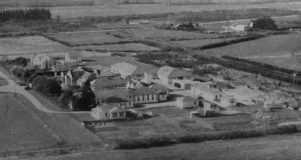 Greytown Hospital served the community for a century, until it closed in the 1990s. I remember back when almost every building on Main Street (except the Bank) was in need of painting. Nobody seemed to worry about details like that. Great little town,lots of heart and punches above its weight.Knew a lot of people from the “Old Greytown”,real nice people and very good Rugby players. Just a little editorial correction there Malcolm. Kuranui was operational with Sam Meads as first Principle in 1959. John Bull was a foundation pupil. Some classes were held in tents while the classroom buildings were completed. Joseph Meads (unmarried son of Joseph Meads Senior) owned the 5 acre section were John Bull now lives. (Originally part of a 40 acre block). Joseph was a prolific tree planter establishing the numerous oaks and elm still on site and in numerous other parts of Greytown. Joseph Meads Jnr was very community oriented hosting community gatherings and cricket matches on the site.